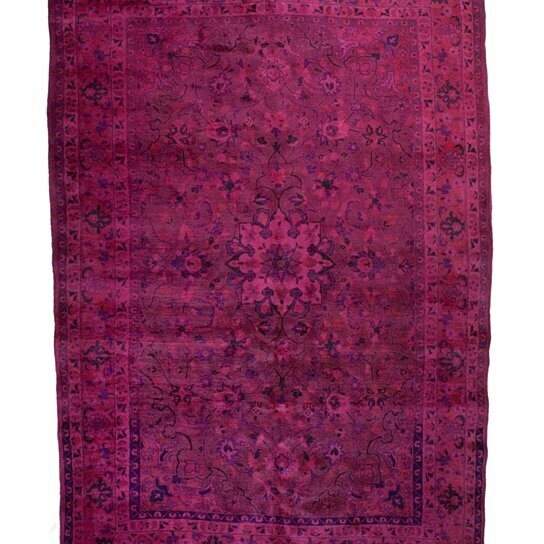 This beautiful one of a kind rug was handknotted in Iran. It is semi antique good condition. Color is hot pink, fuchsia, emerald, violet.